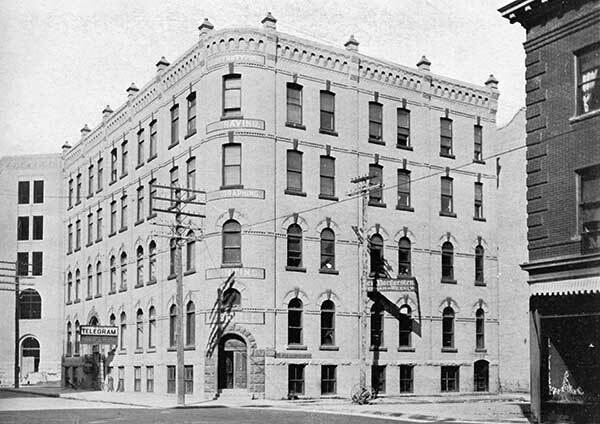 In 1893, this two-storey structure on McDermot Avenue in Winnipeg, designed by Hugh McCowan, was built by local builder D. D. Wood on the north side of McDermot Avenue for the printing and publishing firm of Stovel Company, run by brothers John Stovel, Augustus B. Stovel, and Chester D. Stovel. 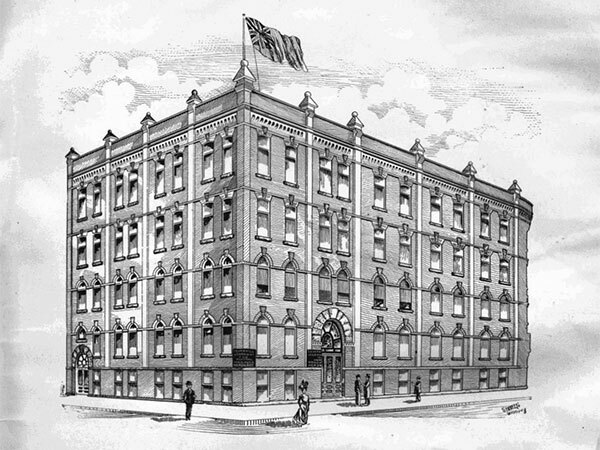 By 1900, the firm had outgrown its space so an additional two floors were added, again designed by McCowan. The building also housed the editorial office of Der Nordwesten, a German-language weekly newspaper, and other businesses. In mid-1916, a fire gutted the building and the Stovels rebuilt but did not reoccupy the block, instead moved to space elsewhere. The property was sold in 1940 to Kay’s Limited, a dry goods firm. The building is a municipally-designated historic site. 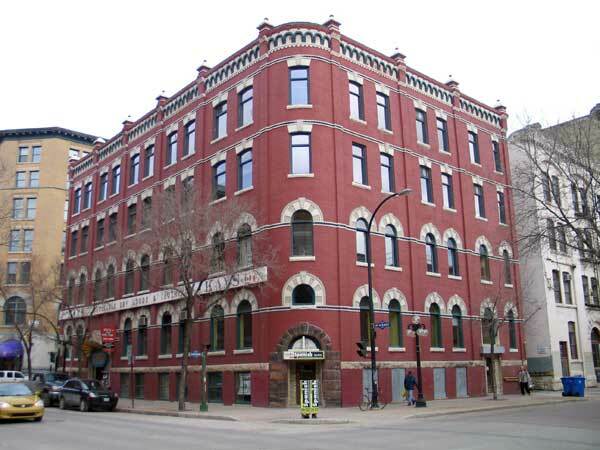 Stovel Block / Kay Building (245 McDermot Avenue), Winnipeg Historical Buildings Committee, July 1998. We thank Orest Kinasevych for providing additional information used here.